Ohad Naharin, artistic director of Batsheva, has the ageless presence of a lifelong mover. Although his mother was a dance teacher, Naharin did not begin dancing himself until the age of twenty-two (ancient in dance years). He joined the Batsheva company and within a year was recruited by Martha Graham for her troupe in New York. Naharin remained in the United States for more than a decade, returning to Israel in 1991 when he was invited to become Batsheva’s director. All of the above. It has a lot to do with the way I reflect about dance, which I am trying to share with other people. Also with the belief that it’s not about how different we are from each other—I take that for granted. But it’s what we share, what we have in common, that is very important to encourage and to develop. . . .
Gaga is a very particular toolbox that we’re building that has to do with the sense of discovery. It’s a lot about giving dancers and people keys to open up something that exists in them. That’s the beauty of it. This action of opening something is very quick. You can have amazing results if you have the right key. . . . That’s something that happens a lot in Gaga, people with those keys. 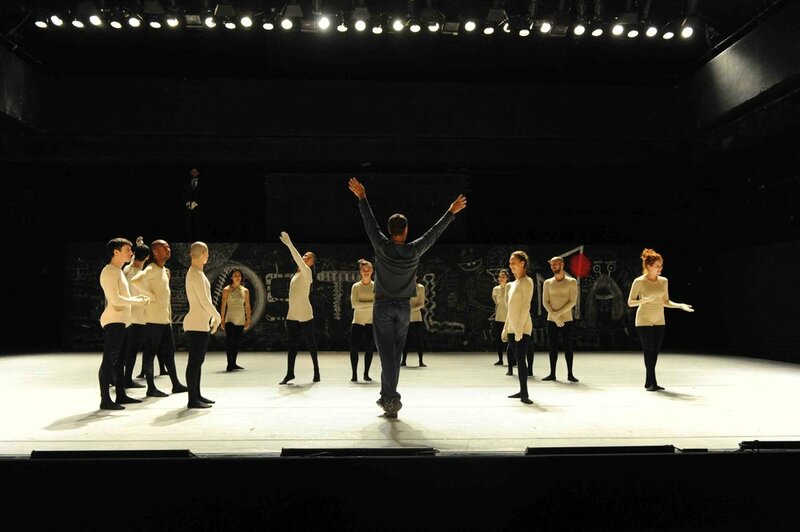 The documentary film "In the mind of Ohad Naharin: Mr. Gaga" by Tomer Heymann, debuted this year inspiring viewers "to escape the gravity of the every day life," according to one reviewer. Tel Aviv’s Suzanne Dellal Centre for Dance and Theatre is a crucial catalyst in the Israeli performing-arts world. A complex of theater and dance spaces, halls, and classrooms, it is an anchor point in the colorful Neve Tzedek neighborhood, and a pioneer in the area’s recent renovation. Its campus was originally constructed in the late 1800s as a school, in the very earliest days of Tel Aviv’s history, and its airy courtyards and calm cafés today offer a pleasant break from the busy shopping area just outside its walls. The Centre is home to the Inbal Pinto & Avshalom Pollak Dance Company, the Orna Porat youth theater, and—perhaps its most celebrated component—the Batsheva Dance Company, under the direction of choreographer Ohad Naharin.